As an occupational therapist in children’s rehabilitation for more than 20 years, Gail Teachman, PhD, observed a troubling phenomenon: Parents of children with mobility issues, including those caused by cerebral palsy (CP) and degenerative neuromuscular disorders, often passed along the messages embedded in children’s rehabilitation that suggest their kids were somehow defective and in need of “fixing.” It wasn’t intentional. The parents were worried about their children’s long-term happiness. 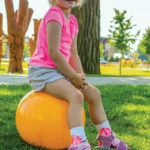 Yet, the desire for their child to meet age-appropriate mobility milestones, or to walk with a “normal” gait, created mixed effects—some harmful. “That’s the heartbreaking part for these families. Social expectations reinforce the message that something is wrong with their child, and that as a ‘good’ parent they should try everything possible to fix their child,” said Teachman, a Canadian Institute of Health Research postdoctoral fellow for Views on Interdisciplinary Childhood Ethics at McGill University in Montréal. “A top goal is for their child to walk, regardless of the cost, or the burden that places on their family or on the child. After all, the notion of ‘overcoming’ disability is reinforced over and over in popular culture,” she said. That burden can have lasting effects on the child. As Teachman followed up with the children she worked with at Holland Bloorview Kids Rehabilitation Hospital in Toronto, Canada, she saw their attitudes develop in the context of the reality of their everyday lives. Clinicians need to collaborate with parents intensively and use their expert knowledge to understand the child’s real-world partici-pationproblems. Participants included six Canadian children with CP, aged 9 to 18 years, with gross a motor functional classification system (GMFCS) level of III or IV. They interviewed the children and one of each child’s parents (five mothers, one father). The children’s accounts revealed how, over time, and with continued exposure to negative values, they came to look at themselves as a burden to society. Teachman contends the high value placed on walking is related to expectations about what is considered normal childhood activity. Even when children with mobility issues are physically included in mainstream activities, they may still experience exclusionary and even hostile social interactions. According to the study, the children were more likely to be accepting or even excited about the alternate modes of mobility that marked them as “disabled” than their parents. Likewise, children “conveyed much more ambivalent beliefs about the value of walking than their parents.” Some parents were able to coun­ter society’s idealization of normal by shifting their own perspectives; for example, coming to perceive their child’s mobility challenges as normal for that child, and then passing this attitude along to their child and others who interacted with their child. Teachman said healthcare providers can play a role in relieving the stigma attached to a child’s disability by encouraging children and parents to talk about difficult subjects, such as how the family feels about the child using a wheelchair or alternative ways of being mobile, such as crawling. 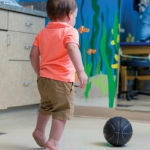 Collaboration between clinicians and parents, who have knowledge and understanding of their child, may be key to changing the value system around the goal of attaining normal gait and helping kids with mobility challenges achieve as much function as possible. 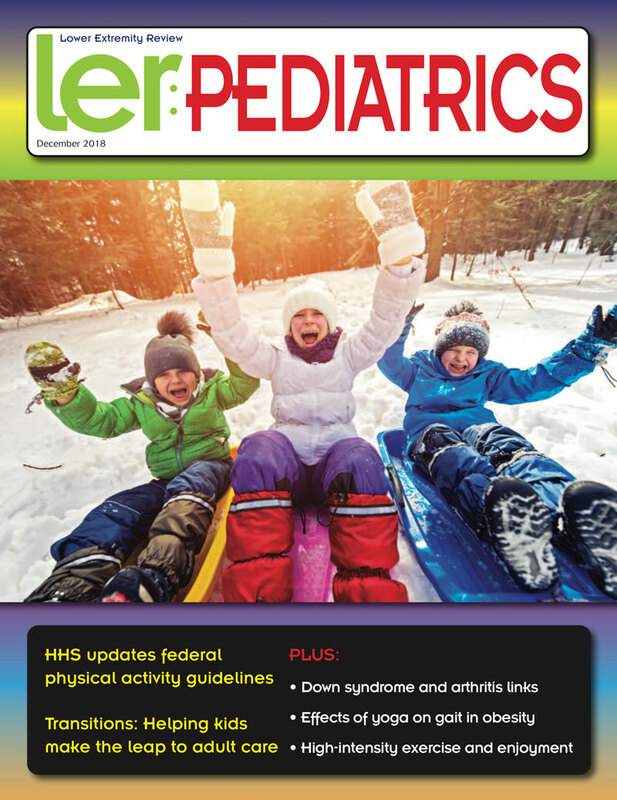 A 2012 scoping review in BMC Pediatrics2 explored parents’ actions, challenges, and needs as they related to enabling their children’s participation in daily life. The authors identified 14 studies of 146 Dutch parents of a child aged 4 to 12 years with a neurological nonprogressive physical disability that focused on the actions, challenges, and needs of the parents. “We discovered a distinction between parental priorities and those of therapists treating the children,” said first author Barbara Piškur, PhD, senior researcher at the Centre of Research Autonomy and Participation for Persons with a Chronic Illness & Department of Occupational Therapy at Zuyd University, Heerlen, the Netherlands. Parents perceived a gap in understanding between the environments where their children lived and the environments in which practitioners examined or worked with their children. “I strongly believe [practitioners] working with children with mobility disorders need to collaborate with parents intensively to understand the real participation problems of the child, to set up goals together with the child, and to use the expert knowledge of parents,” said Piškur. Piškur believes more collaboration between practitioners and parents is required, as is more focus on the demands of specific environmental settings. She recommends therapists seek more exposure to the child’s home and school environments so they can match techniques and advice with those contexts. By experiencing the challenges the child faces, practitioners could tailor ther­a­py to his or her actual needs. Creating positive disability identities is a key goal—for parents, clinicians, and their young patients. It’s an especially delicate balance for clinicians to manage realistic expectations alongside parents’ hopes. 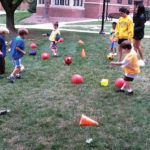 One method Teachman has found effective is to facilitate children’s relationships with other children who have similar mobility or functional issues. Paul Jordan, DPM, has a handle on both optimism and expectations. For the past 37-plus years in Long Island, NY, he’s specialized in pediatric biomechanics, orthoses, and surgery for children with neuromuscular and neuromotor disorders. He refuses to make predictions about mobility based on an infant’s magnetic resonance imaging (MRI) results or initial examination. Jordan’s goal is not whether a child will walk “normally,” but rather that he or she will be able to do the things they would like to do. He spends 90 minutes or more with every child, watching them play and observing their movement and interaction with the environment, and involving siblings when possible. Jordan builds custom orthoses to accommodate the comfort level and specific activities in which a child wants to participate. For example, after performing surgery on a young patient with spastic diplegia that enabled him to walk for the first time, Jordan removed his casts and fit him in ankle foot orthoses to help him ambulate. 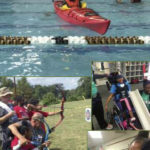 Sometimes adaptive equipment is required, but Jordan encourages children to participate by exploiting their abilities rather than focusing on their perceived disabilities. Either way, his goal is for them to participate with kids of the same age who don’t have mobility impairments. For some, allowing a young patient to lead the approach to treatment based on their real-world needs and environment can produce impressive results. 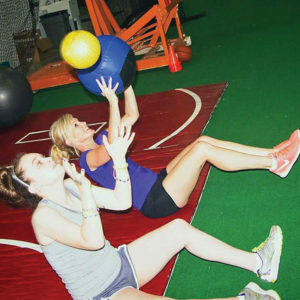 Krishna Kalmese, BS, kinesiologist and owner of Kalmese Wellness Studio in Bourbonnais, IL, uses this technique as he works with children with disabilities, including those who have mobility issues caused by CP, multiple sclerosis, and other neuromuscular conditions. His approach is one of patience and gradual progress based on the individual, rather than time-driven expectations. One of Kalmese’s longtime clients, Kiley Lyall, was born with epilepsy and diagnosed with CP (GMFCS level II) and autism when she was aged 3 years, the same time she finally began to walk. Even then, she frequently lost her balance. Her mother, Kathleen Lyall, was told by clinicians that her daughter’s physical, emotional, and mental abilities would never advance beyond that of a typical 8-year-old. 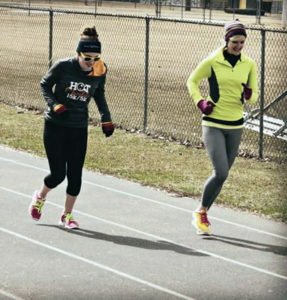 Today, Kiley, aged 24 years and living in a Chicago suburb, runs conventional marathons alongside normally abled athletes. Kiley’s combination of conditions made balance, let along walking, difficult. But, after winning a Special Olympics relay when she was aged 8 years, she embraced distance running. 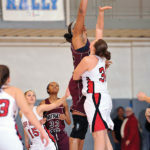 In addition to Kalmese’s fitness and nutritional guidance, Kiley began ongoing physical therapy with a running coach. 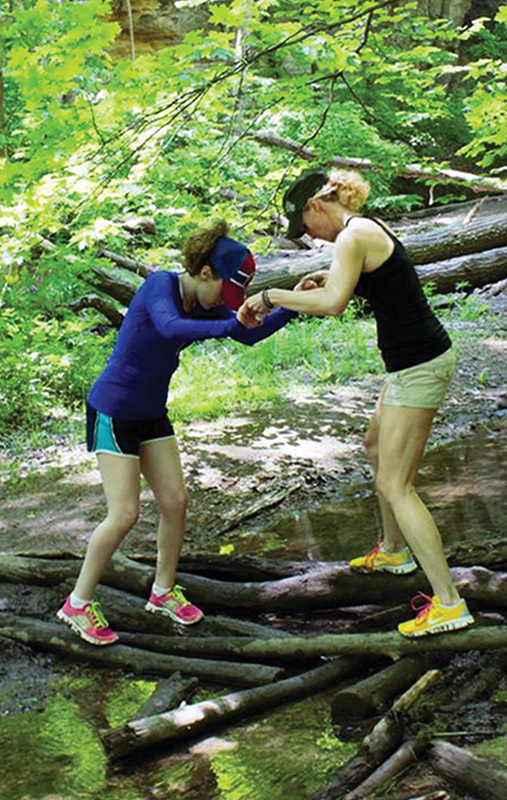 Her mother soon discovered that running helped improve her daughter’s balance and boosted her confidence. 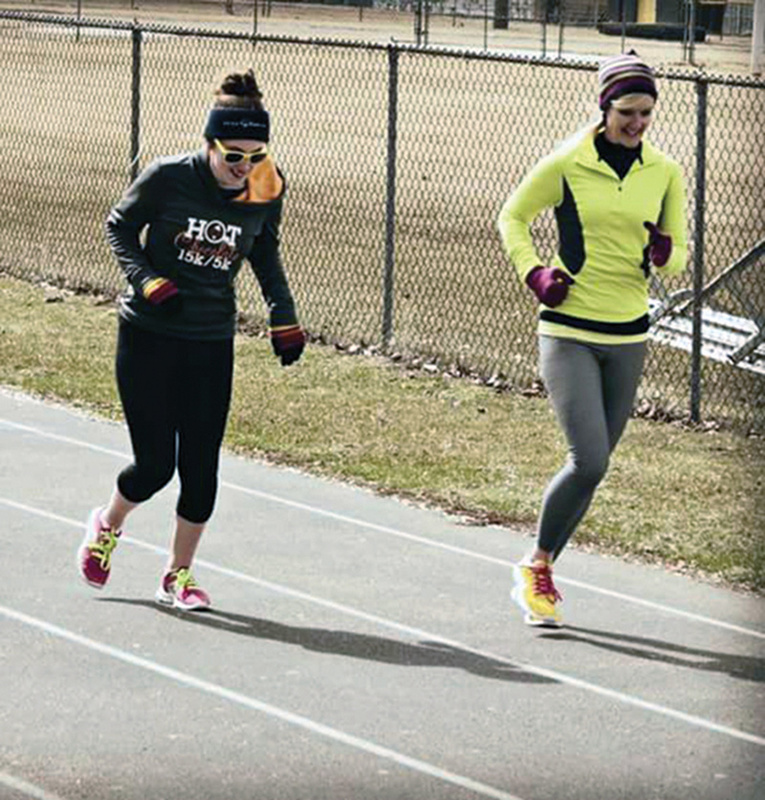 When Kiley ran, she no longer felt different or left out. She was just another runner in the pack. 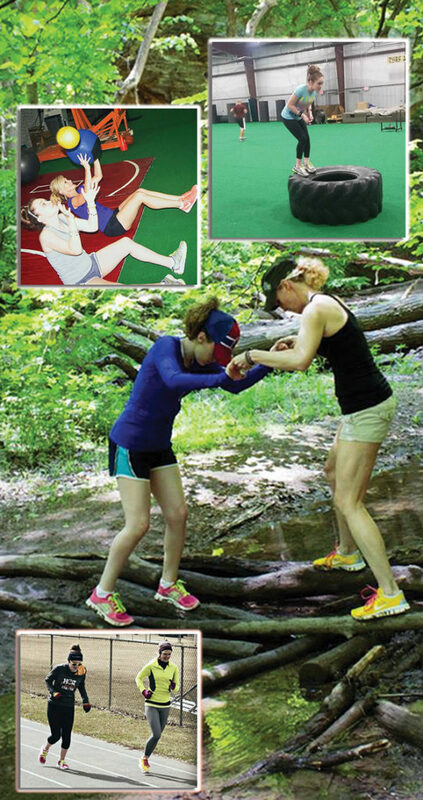 With Kalmese’s help, the Lyalls found ways to follow Kiley’s lead and encourage her activity. By listening to their daughter and helping her define her own goals, she exceeded all expectations. Kiley now works part time at a hair salon. When she showed talent in photography, Kathleen helped her launch a portrait business. 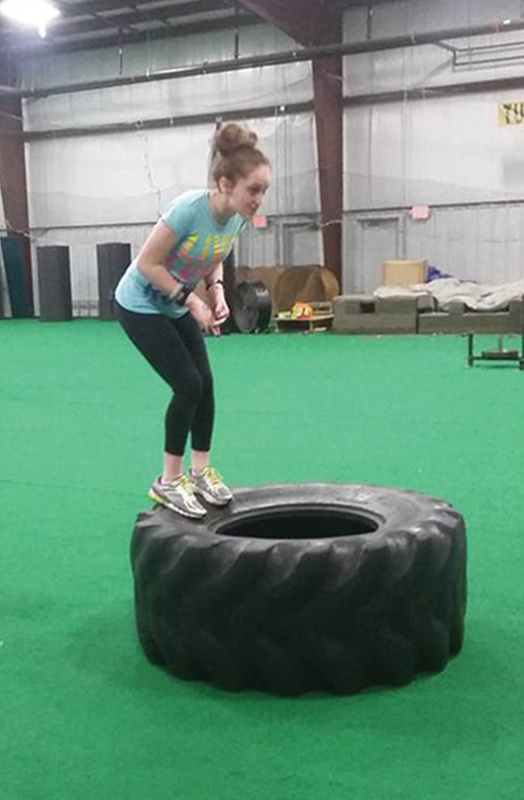 Today, Kiley (who aspires to become a personal trainer) continues to push herself to do more in the gym, and encourages other people—with and without disabilities—to reach their goals. In January, she appeared on the cover of Women’s Running after being selected from more than 4000 entries in its annual Cover Runner contest. But, even when the attention is positive, Kiley sometimes struggles with being singled out. 1. Gibson BE, Teachman G. Critical approaches in physical therapy research: investigating the symbolic value of walking. Physiother Theory Pract 2012;28(6):474-484. 2. Piškur B, Beurskens AJHM, Jongmans MJ, et al. Parents’ actions, challenges, and needs while enabling participation of children with a physical disability: a scoping review. BMC Pediatrics 2012;12:177.